I promise you guys I am NOT done blogging!! This pregnancy has just been taking its toll on me–thankfully I only have 10 weeks or so left to go! Cannot wait! And I cannot wait for you guys to see the Geoff Chick masterpiece I have for you today. 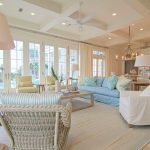 It’s easy to see why this architect is one of the most well-respected along 30A in Florida…not to mention one of my own personal favorites! I’ve yet to see a home he’s designed that hasn’t blown me away. 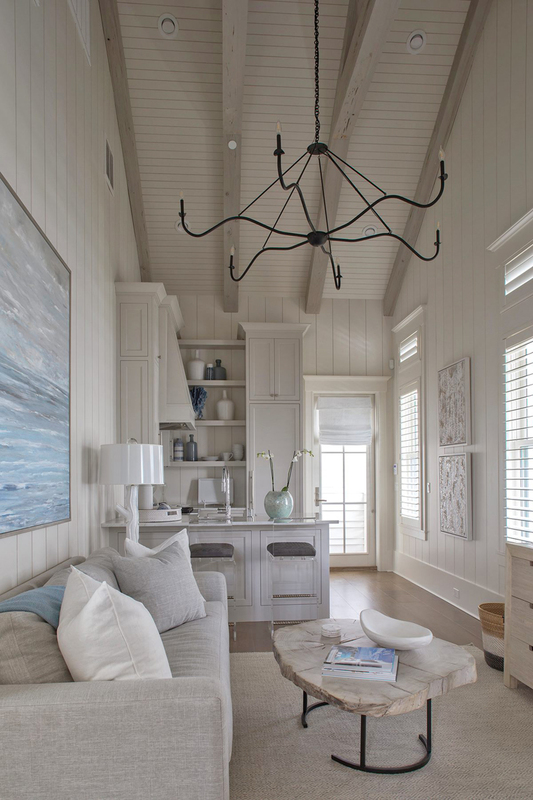 Geoff Chick worked with builder Chris Clark Construction and Atlanta-based interior designers Robyn Prince & Marianne Temple (the same dream team behind one of my all-time favorite homes here) to craft this elegant yet inviting WaterColor beach home filled with incredible architectural details, stunning craftsmanship, and an airy coastal vibe I adore. Sit back and enjoy these beautiful photos by photographer Jack Gardner! 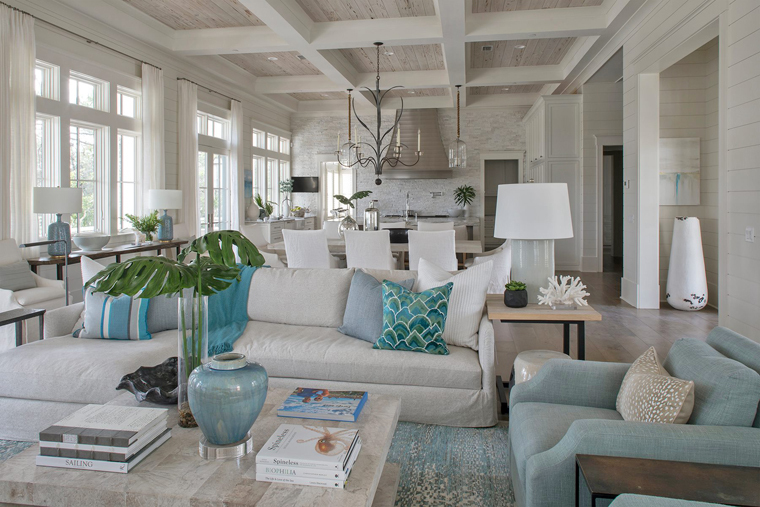 I’m loving the splashes of blue and turquoise that accent the predominately neutral home. 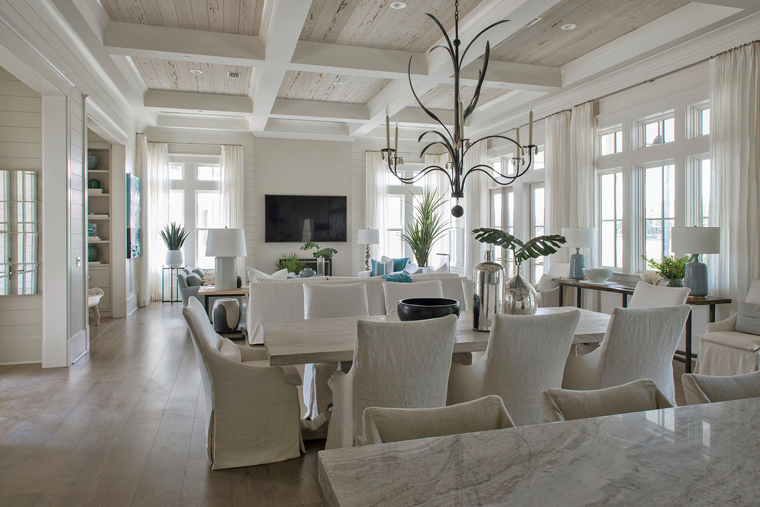 So many striking details in the open-concept living area…the coffered ceiling is especially gorgeous! 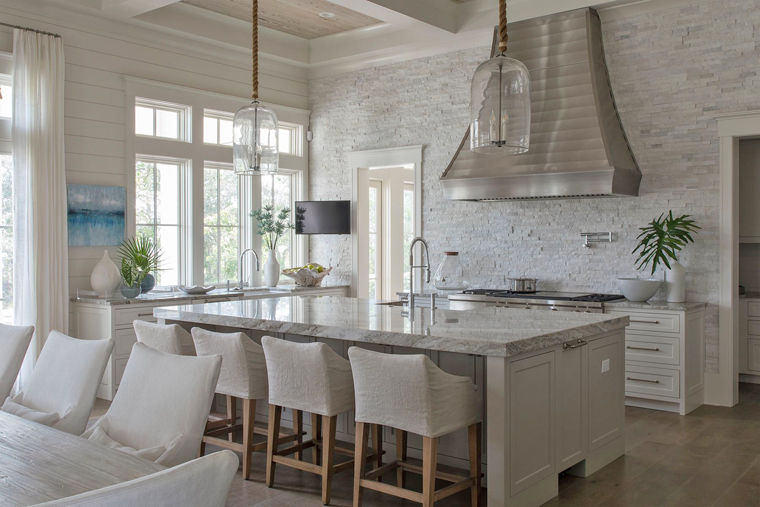 Perfect proportions are paired with beautiful textures in the gourmet kitchen. 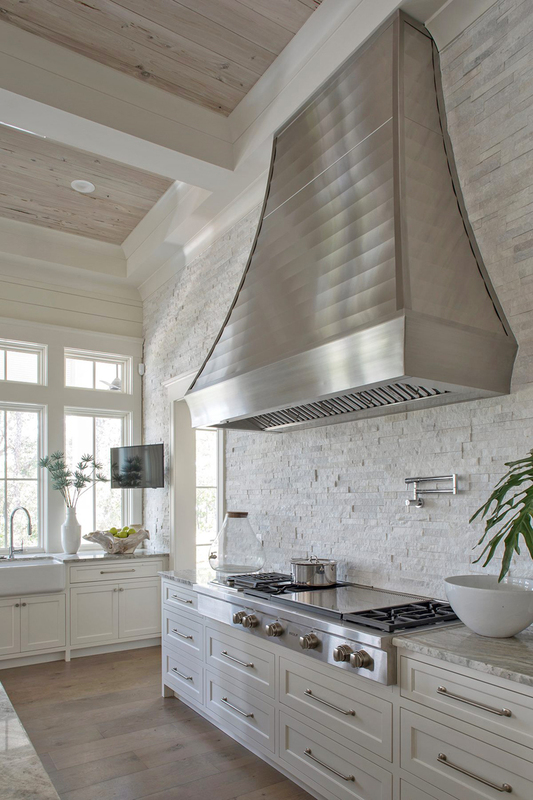 Check out the custom-built stainless steel hood! 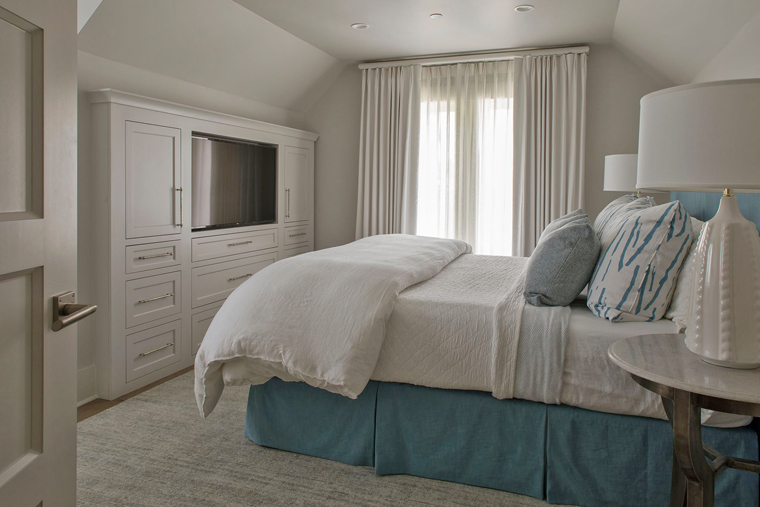 Like the rest of the home, the bedrooms are filled with relaxing natural and neutral tones with touches of blue. So many great custom built-in details around every corner. 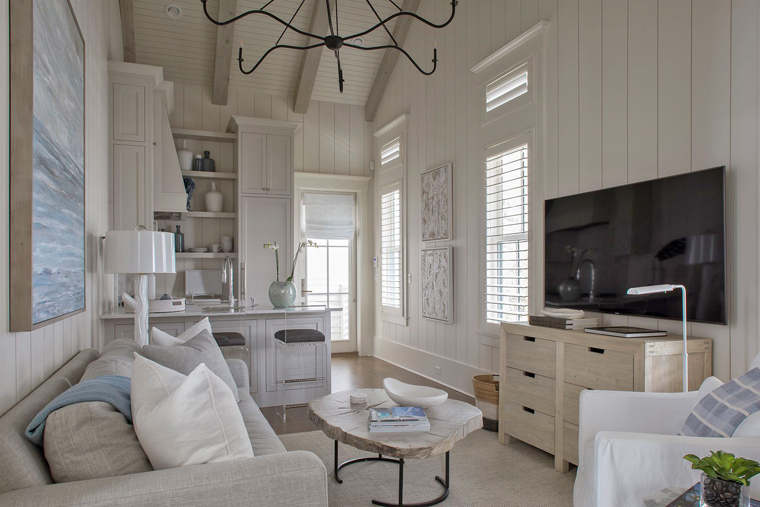 Who wouldn’t love to be a guest in this dreamy carriage house?! 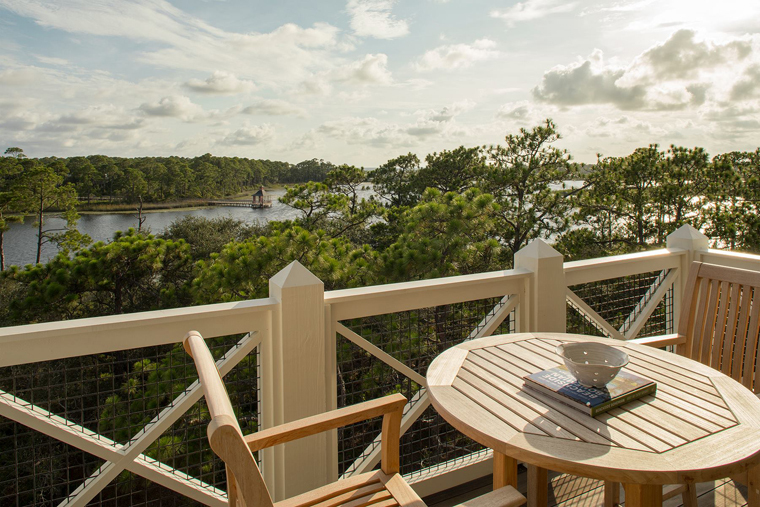 The two master suites on the second level each have their own private balcony. What a dream! Not to mention the view…. 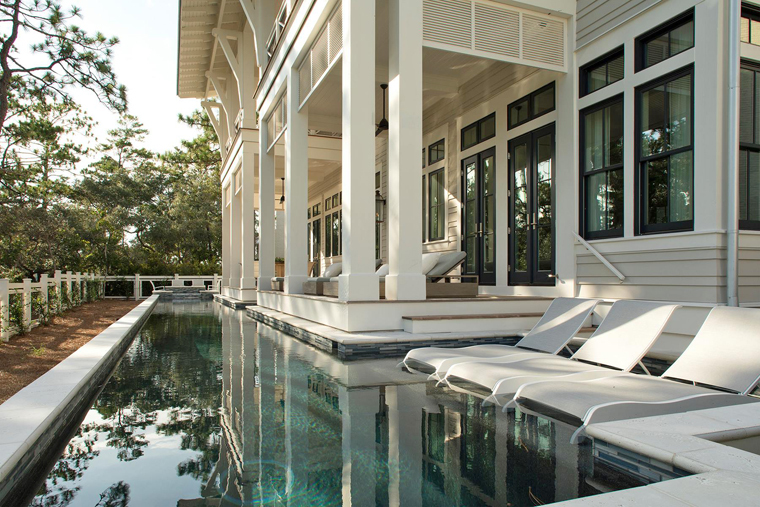 …and 75 foot lap pool! Amazing, right?! 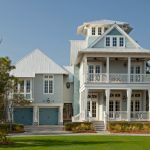 To see many more incredible projects by Geoff Chick & Associates, be sure to check out their Facebook page and follow them on Instagram. 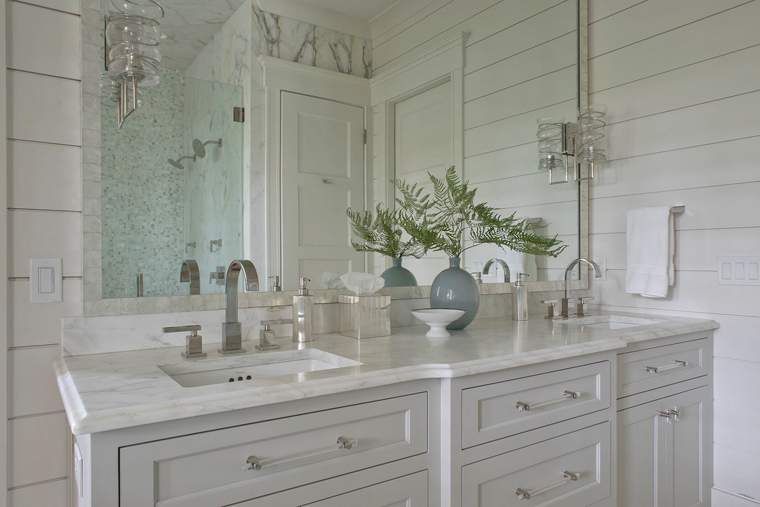 And for more turquoise-filled projects I’ve featured by this talented architect, go here! Beautiful house, thank you for sharing. Enjoy your full nights sleep now! Congratulations! I check every day! Thank you for the eye candy from Geoff Chick. I am glad to hear from you, and to know you are well. God bless you in these last weeks. Thinking of you. Yes, had thought you must have been super busy with all that’s going on in your life right now 🙂 So glad to hear you’re well, and not long to go now. 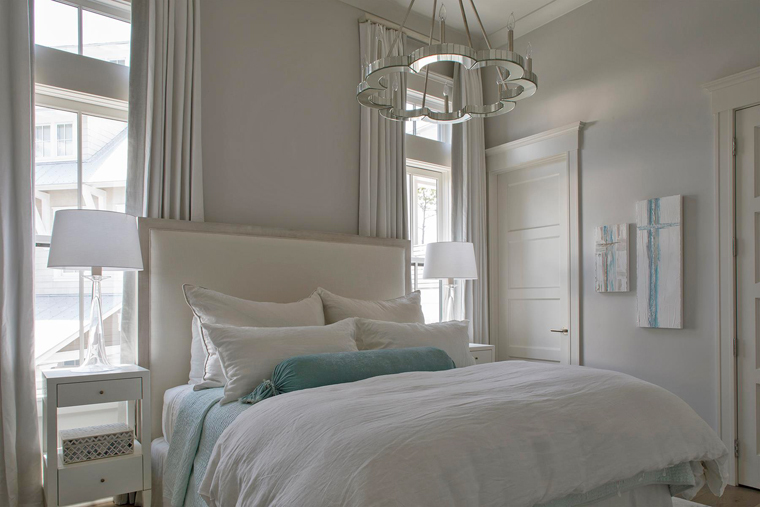 Lovely photos of a truly gorgeous home – very tasteful colours and light fittings. Pretty house, so peaceful and bright. 10 more weeks yay for you! Praying the last 10 weeks a wonderful and you have a smooth and speedy delivery. I am sure your kids must be getting excited. Or will be excited when the new baby arrives. 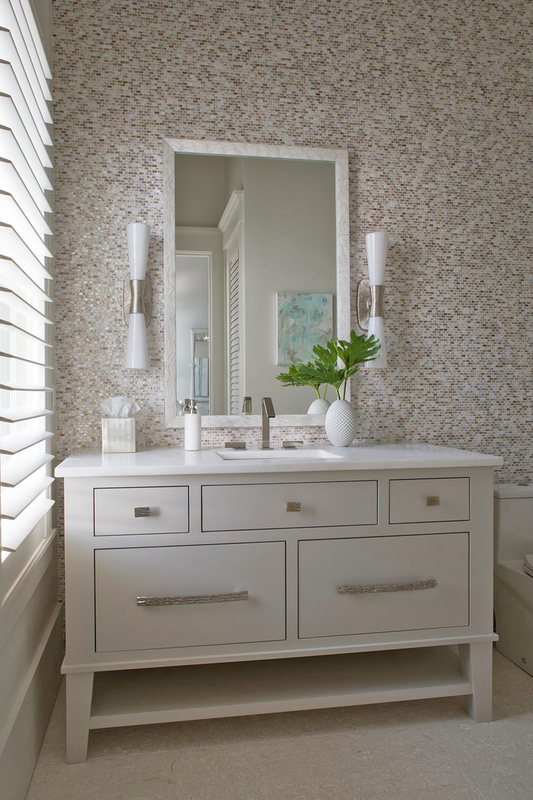 Love seeing our lighting and accessories in this beautiful space! So wonderful, thank you for posting! By the way, your inspiration knows no bounds as my husband who has never reupholstered a thing in his life just literally finished painting and reupholstering our six old dining chairs in a Tommy Bahama fabric that he said and I quote, “reminded him of decor that he saw on House of Turquoise” that I showed him once. Too funny. Now I have amazing new chairs. yay! Hope you are feeling better, hang in there. Hope all goes well for you these next 10 weeks. Will feel like 20 – right?! 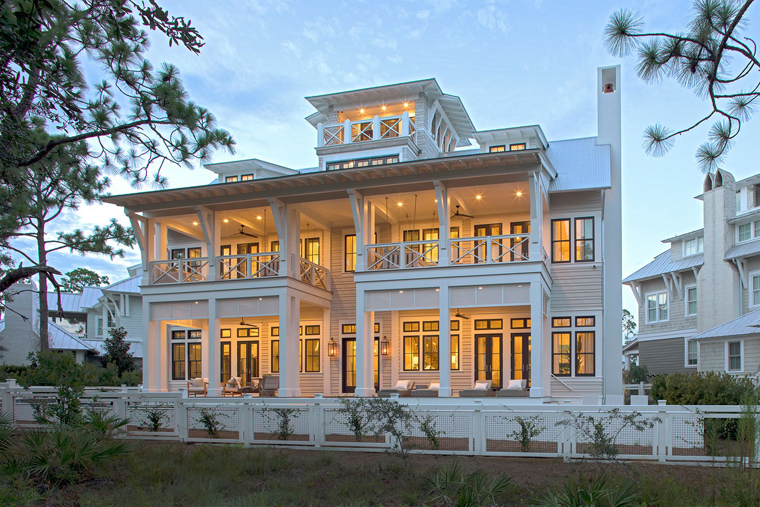 Lovey, stunning home. So absolutely amazing so thanks for sharing. Great inspiration for ideas. 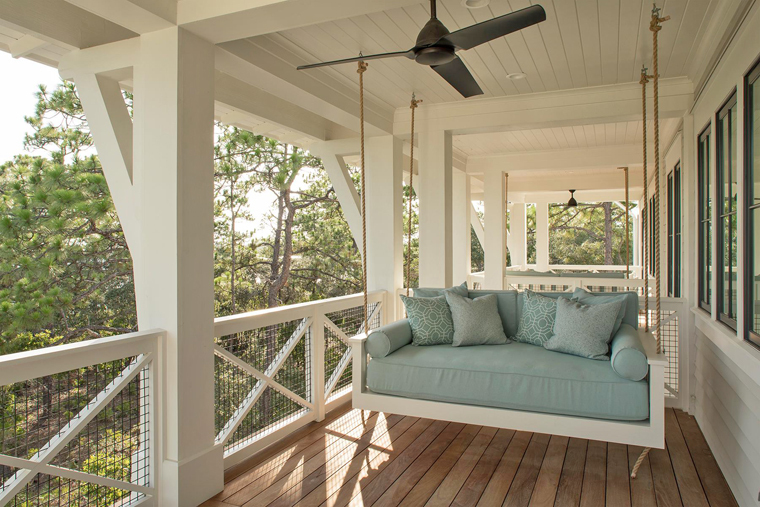 I will be paining my humble beach bungalow in a few weeks. 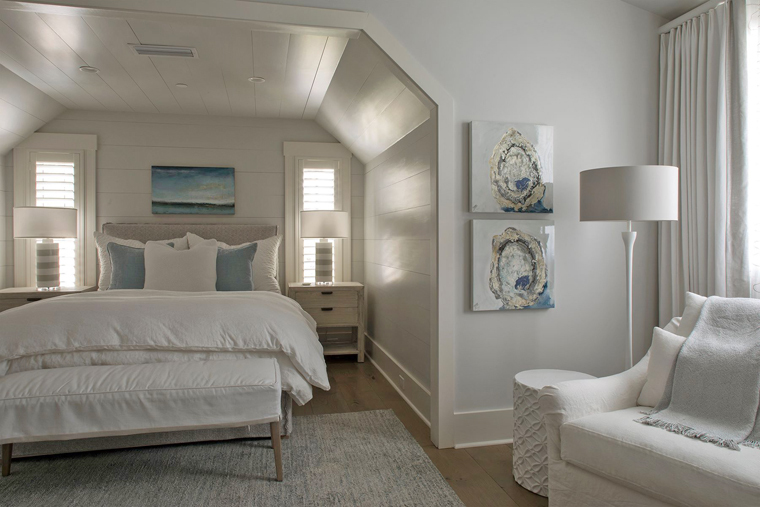 Is it possible to learn the paint name of the bedroom walls and the shiplap? Thanks a million! 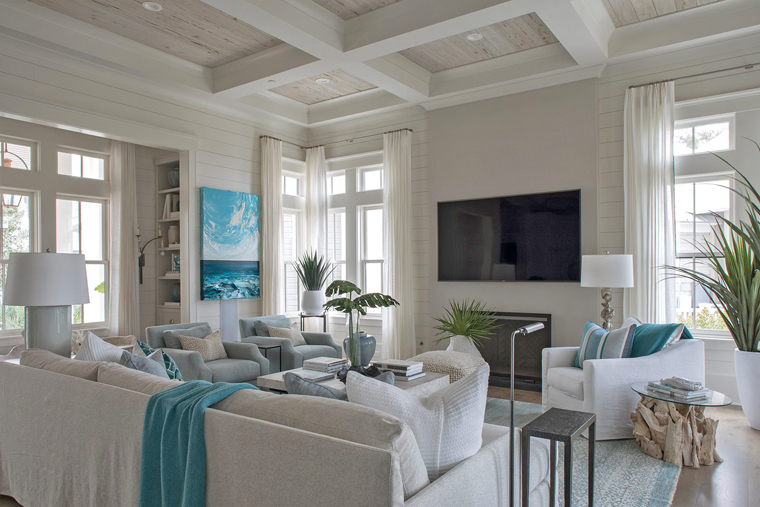 The blue tones really make this home looks something special. I love it. WOW, I love the house! I espically love the wine cellar area, and the POOL. HOLY WOW. Please keep blogging! I count on this site to keep me motivated on our Home Remodel that is taking 5 plus years now. thanks ERIN! Happy Pregnancy! Take care of yourself! 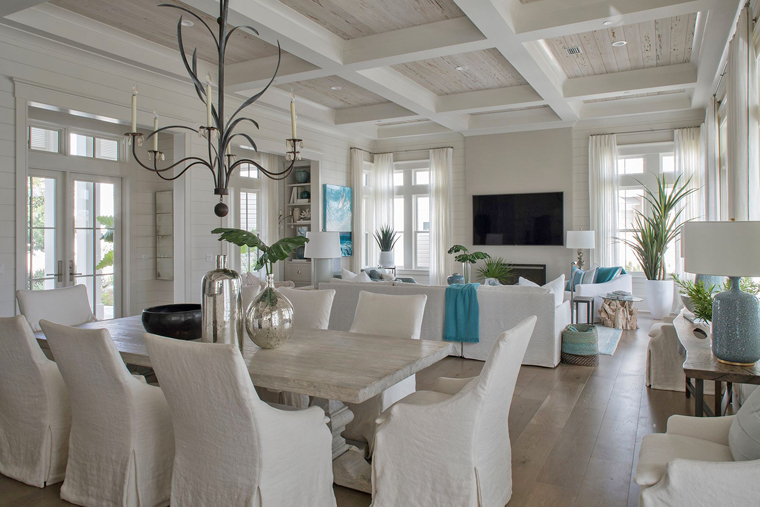 Pretty house, so peaceful and bright! This is definitely a masterpiece. 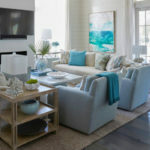 I like the way how different hues of blue are used, particularly, turquoise! BTW, where did you got the seating chair from the 3rd picture, it’s beautiful! Looking like its made of dinosaur’s bones haha! 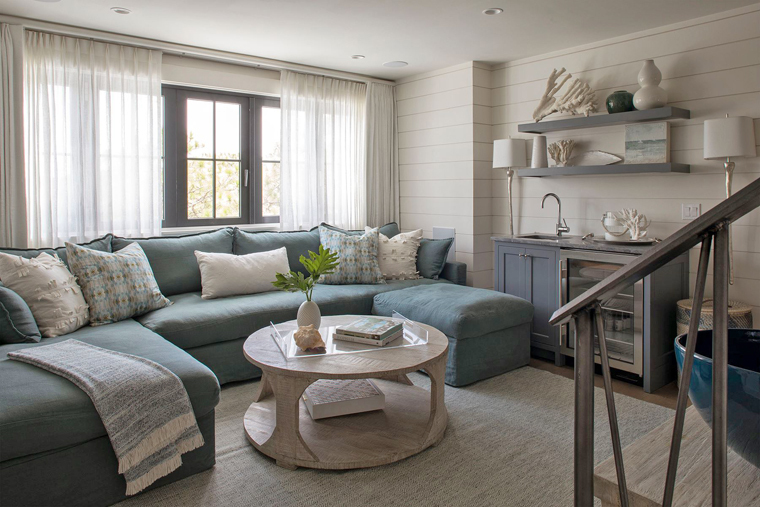 Erin…that is sure a lot of white, off-whites, and natural tones, but it all looks terrific, refreshing, and oh, so light and airy with the turquoise, blues, teals throughout! Gotta love it! Thanks for sharing this inspiring masterpiece! 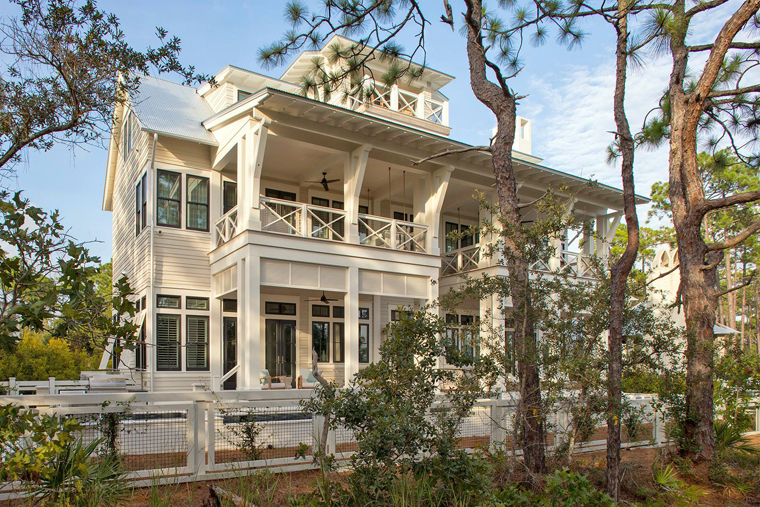 So much to love about this special house! 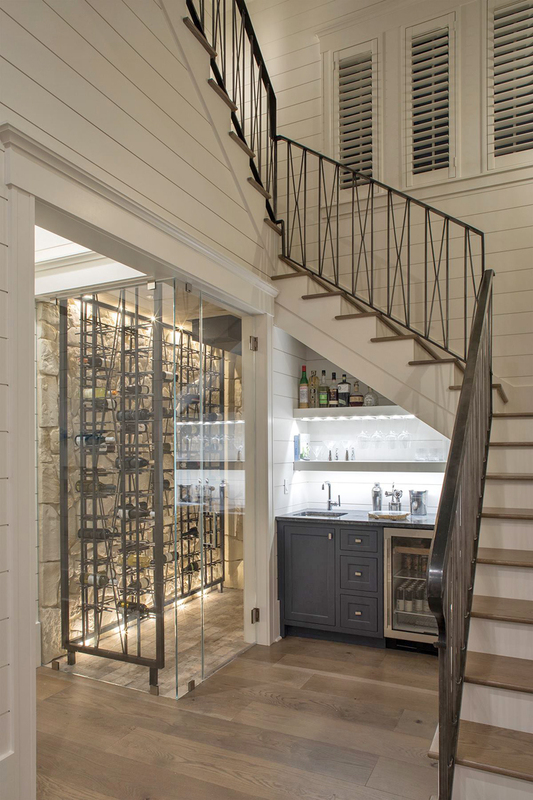 If I had to pick a favorite bit it would be the stair railing and the wine racks that share the same aesthetic. 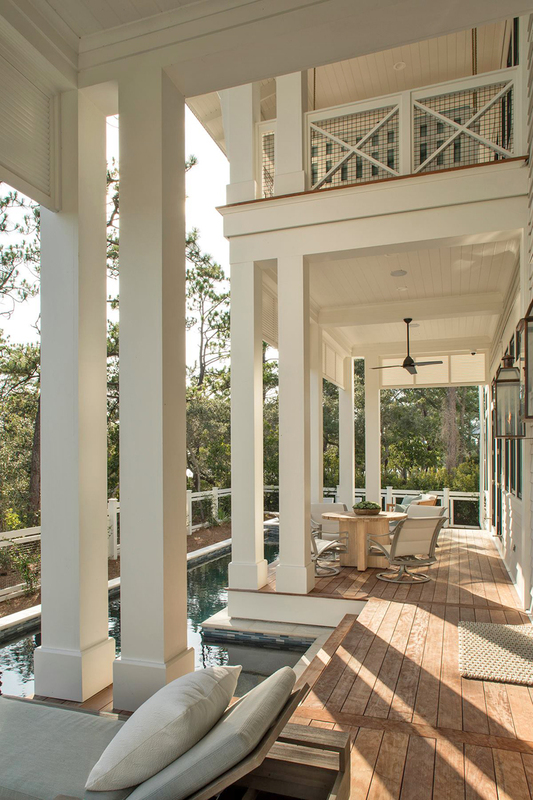 Or the pool right up the back of the house. Or everything! Good Morning! i saw your posts of photos onHouse of Turquoise by Geoff and Chick Asss. from Sept. 2018. I loved it all! I am repainting our new house and if any way possible, I would love to get the paint color(s), at least main living areas.. 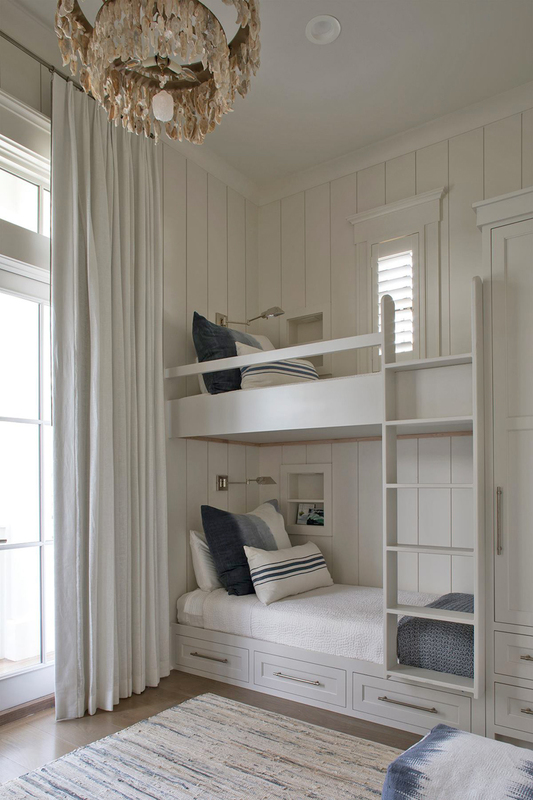 I love the neutral tones and I am having difficulty finding the right neutral all over paint color. I love the softness of colors and the splashes of blues. Thank you so much for that post about 5 months ago. Your reply would be an answer to prayer!